What we like about it: Plugin for making clean, modern tooltips with many possible interactions, themes, and triggers. What we like about it: Highly customizable vanilla JS tooltip library with many possible interactions, animations, and themes. Can contain HTML, and has a ton of features like dropdown nesting and cursor follow. What we like about it: Simple tooltip with smooth animation made with HTML and CSS. What we like about it: Small, simple, flat jQuery tooltip plugin that can appear on almost any HTML element. What we like about it: Simple tooltip made featuring fade-in animation. What we like about it: Animated and stylized tooltip bubbles that can be rotated around a given element at any angle. What we like about it: Modern, minimal and very lightweight CSS-only tooltip library. 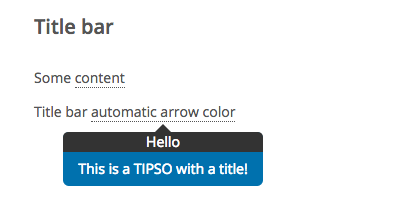 What we like about it: Fully styleable tooltips that can be automatically positioned. What we like about it: A powerful and flexible plugin that also features modal windows and notices. Lightweight, customizable, and responsive. 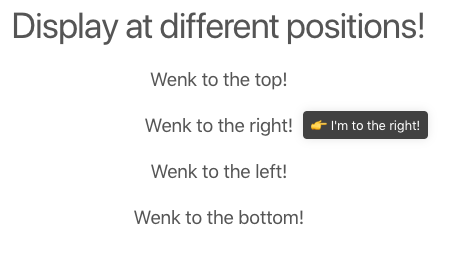 What we like about it: Lightweight tooltip available made with CSS. Can be easily styled using attributes or classes. 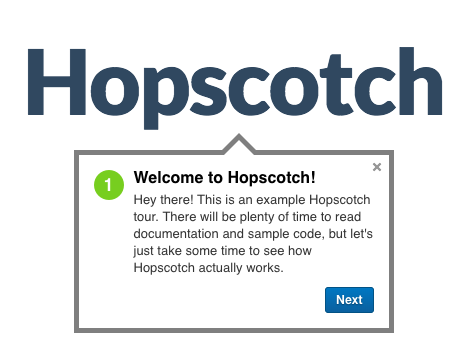 What we like about it: Interactive jquery features tours. Quirky bubble style is visually interesting. Requires grumble.js (above). What we like about it: Powerful, versatile product feature tour library for step-by-step guides. No dependencies, user-friendly. What we like about it: This jQuery tooltip plugin has a nice rules system that only allows only one tooltip to be visible at a time. Supports adding complex data to tooltips. What we like about it: Neat little jQuery plugin that makes tooltip-style toolbars for web apps and websites. 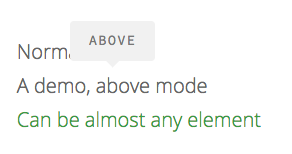 What we like about it: CSS tooltip made with Sass, which is pretty cool. What we like about it: JS and CSS library for creating styleable tooltips. Built on Tether and Drop. What we like about it: Framework for adding product tours (including multi-page tours). Works by accepting a tour JSON object as input and provides an API that allows the developer to control rendering. 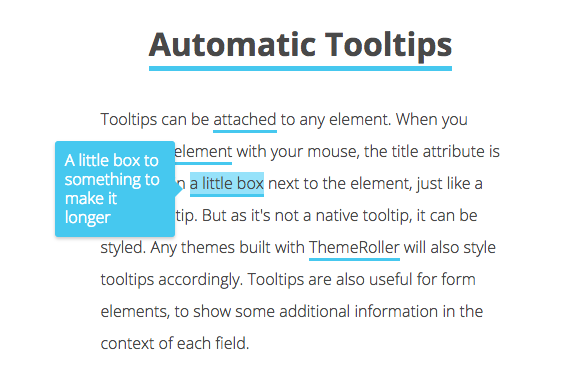 What we like about it: Simple, customizable tooltip that supports HTML content. What we like about it: Lightweight and responsive jQuery tooltip plugin with CSS3 animations. Also exists as a Wordpress plugin, which is pretty handy.